Join us for our second webinar in the Advancing Sustainability Webinar Series, to learn more about how you can implement a zero net waste program in your facilities. The Plastics Industry Association (PLASTICS) Zero Net Waste (ZNW) program recognizes companies that take steps to drive toward zero net waste in manufacturing. Participating companies demonstrate leadership in landfill diversion, waste reduction and most importantly a commitment to ensuring valuable resources go to the highest and best use. As a ZNW program participant, companies can broadcast those successes to their community, employees and customers. Ashley Hood-Morley, Director of Sustainability at PLASTICS, will provide an overview of the resources available through the PLASTICS ZNW Program. Cory Keich, Plant Manager, and Omar Castro, Engineered Materials Division, both from Berry Global, will discuss their experience in implementing the program at Berry’s Goshen, Indiana facility. 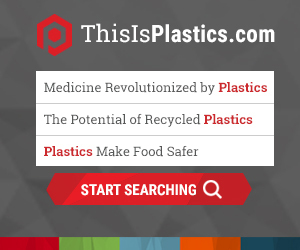 Visit the PLASTICS Zero Net Waste program page to learn more. Register to attend this free webinar for PLASTICS members on Tuesday, March 19 at 11:00 a.m. - 12:00 p.m. EST.